Stunning 1934 Ford 3-window coupe. Anderson Industries body on an original '34 Ford frame (titled as a '34 Ford). Summit Racing 350 cu. in./360 hp crate engine. 350TH transmission w/2000 stall converter. Corvette IRS with 3:08 gears. VintageAir, Gennie Shifter, Classic Instuments gauges. Gorgeous saddle tan leather interior. This is a quality built car that is highly detailed. 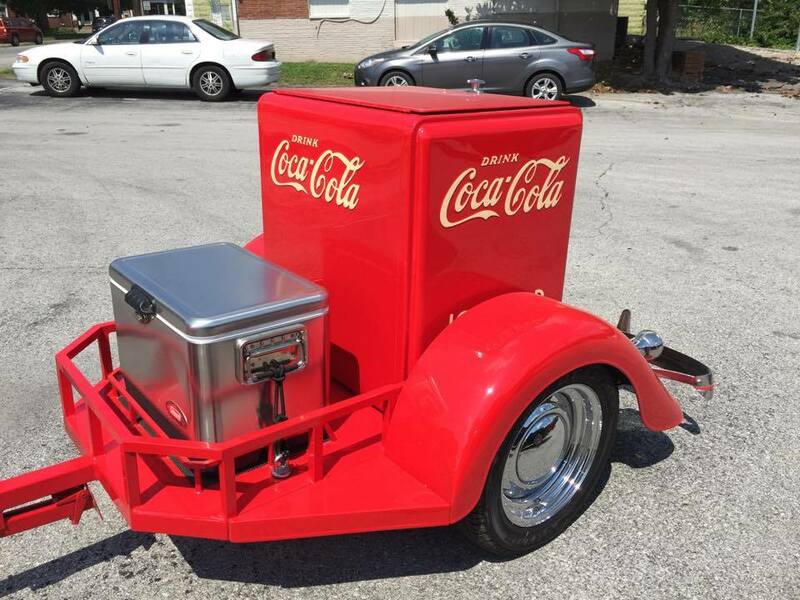 Can be purchased with or without the matching Coca-Cola cooler trailer (trailer is also titled). This car is a must-see! Too much to list! Call Blaine @ 859-340-4577 for more info.